Today was such a beautiful day. One of those perfect Autumn days where the sun is shining and the air is crisp. I have been struggling a little bit this week, the old black cloud had descended a little bit and my mood has definately matched the dreary weather we have been having. This week has been spent mostly hibernating and trying to pull myself out of the slump I had found myself in. Waking up this morning to beautiful sunshine and clear skies was the kick I needed to shake off the foggy cloud of doom. The sunshine had obviously rubbed off on the girls too, they had been awake a good few hours before I heard even the murmur of a cross word between them. Anyone who is a parent to siblings will understand that this is nothing short of a miracle. 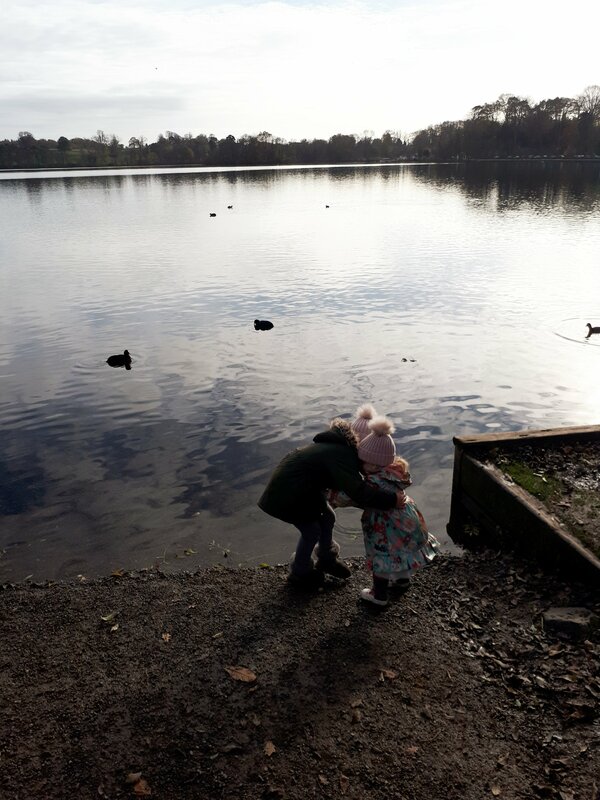 We aren’t good at staying indoors on the worst of days let alone one where the sun is shining so me and the littlest two girls wrapped up warm and headed off to The Mere at Ellesmere with the dog. The Mere is one of our regular haunts it has everything; Ducks and Geese for Daisy, a playground for Isla, paddle boards and rowing boats in the summer for Anya (although she is now at the age she prefers the company of her friends to me), easily accessible family walks and stunning scenary which means I am in my element with my camera. If you keep an eye out there is lots of wildlife to see too. The Boathouse sits on the bank of the mere and serves refreshments with a view as well as housing a visitor centre run by Shropshire Wildlife Trust. It is also a short walk from Ellesmere Town Centre which is a lovely little market town and worth a look round if you are visiting the area. 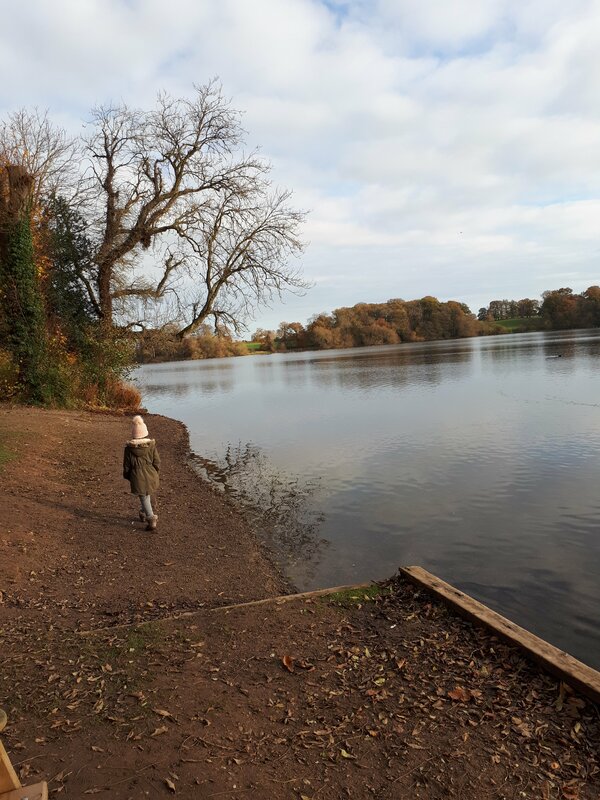 We usually start our visit off by stopping off at the waters edge to feed the ducks and geese – although we didn’t today as we forgot to buy duck food (well I did). Instead it was straight into exploring the woodland that surrounds the mere. 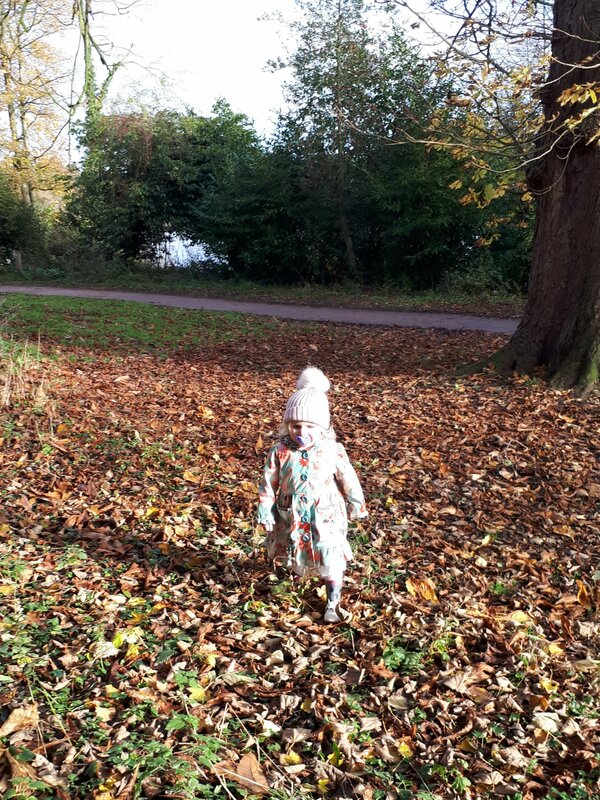 The girls love it there are so many hidden dens to find, banks to climb, tree trunks to balance on and at this time of year the floor is carpeted in leaves to kick around and play in. We have been here so many times now and never get bored of exploring. Every single time we find something new. 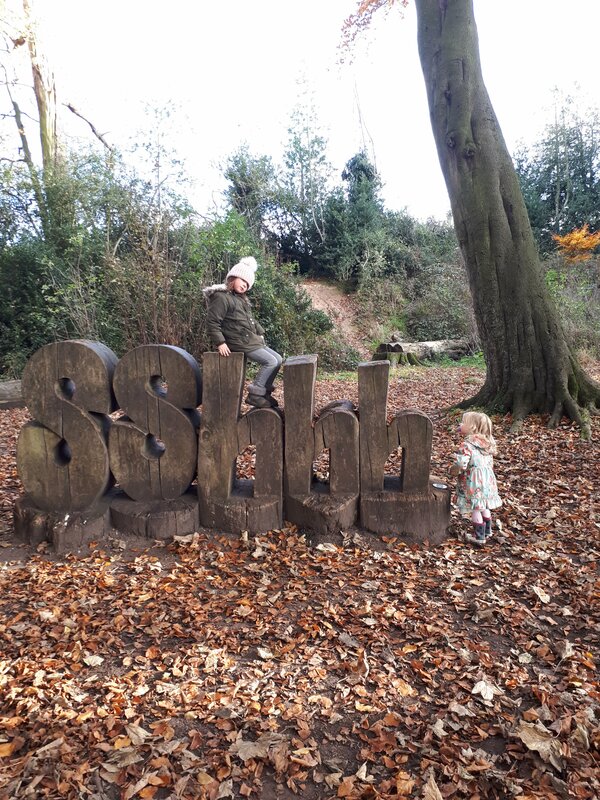 I never get bored of seeing the girls running around free, following “secret” paths through the woodland, climbing fallen tree trunks, hunting for sticks, rolling down banks and exploring the various natural dens that are around every corner. 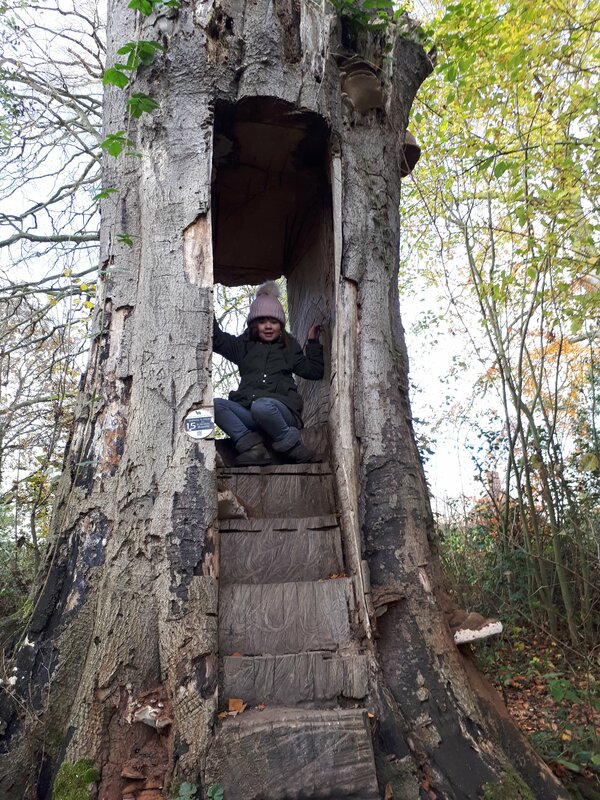 This morning really was just perfect seeing the smiles on their faces, their cheeks pink from the crisp air and their delight at seeing a new pile of leaves to jump in or bank to climb. Of course the dog loves it here too … although he can be a bit over friendly and as he is on the large side and not everyone appreciates nearly 40kg of fluffy dog running at them his fun has to wait until we reach the field towards the end of the main path. There he can run to his hearts content while me and the girls take in some spectacular views of the Mere. No trip here is complete without a visit to the large, well equipped playground on the way back. I dont have any photos though of this today as I had to wait outside with the dog but the girls had a lovely time and it took a fair bit of bribery to tear them away. This is very definately one of our favourite places and one we will never bore of visiting. It was exactly what we needed today to end the week on a high and of course the perfect way to burn off a bit of energy in readiness for our sunday roast. As sundays go it has to be up there as one of the best ways to spend it. Previous Post Its the little things that make life wonderful. Next Post Why I still believe in Santa and hope my children will always believe too.